Enjoy the many benefits and features of CMMS Software without paying the upfront costs and worrying about compatibility with current IT infrastructure. iMaint Online, DPSI’s cloud hosted CMMS software solution, was designed for both small scale and enterprise level companies. Schedule maintenance, create work requests, schedule work orders, manage assets and inventory, perform data analysis using reports, graphs or dashboards on the go—all you need is internet access. iMaint Online keeps your organization’s data secure with the help of a well-structured and distributed infrastructure. Servers, network and applications are constantly monitored to maintain the efficiency of your software’s performance. For companies who want to install CMMS software on their servers and also have private cloud access, DPSI offers a licensed edition of iMaint. You choose—either solution provides the full functionality of iMaint with cloud access. At DPSI, providing the best possible solution to our customers has always been our priority. 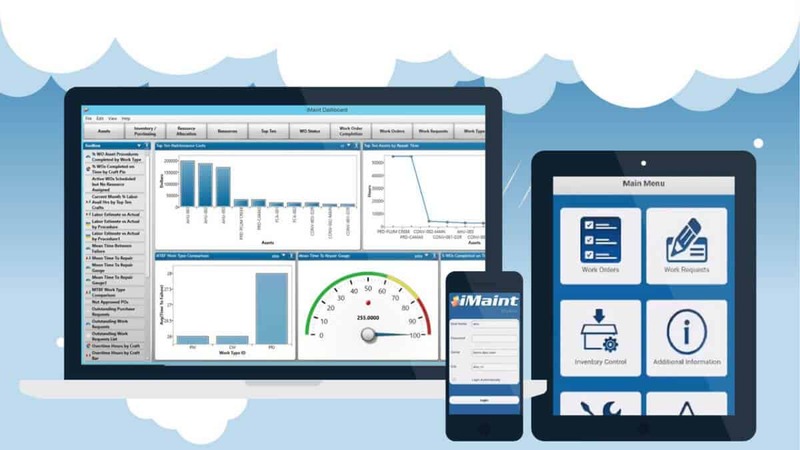 Our Cloud CMMS software has helped small scale to enterprise level companies achieve a strong ROI and maintain their maintenance operations effectively at the same time. Learn more about the benefits of a cloud-based system, what to keep in mind as you transition to the cloud and more. The following blog posts geared toward cloud-based CMMS software will help guide you in your decision-making process.